Boxing headgears are commonly sorted into three different categories: open face, ﻿﻿cheek protectors and face saver. Open face headgears have the least protective features among the three. As a tradeoff, it provides maximum visibility while still having padding to cushion impact around an individual’s head. Those individuals wearing open face headgears do not get their vision impeded by structures like cheek protectors and face bar. Open face headgears are also the lightest option and provide the smallest target. 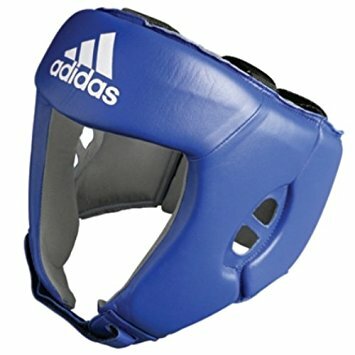 In no particular order, this article will be providing a list of the 7 best open face headgears for beginner and intermediate boxers. Furthermore, each headgear has been approved for use in amateur boxing competitions. The RHGC1 is approved by USA Boxing for use within amateur competitions. It has a full-grain leather exterior and a suede lining for the interior. These components results in a tough headgear that is extremely comfortable to wear. In addition to the comfort it brings, the suede material decreases the chance of the headgear shifting once the user starts sweating, which can occur with all-leather construction headgears. 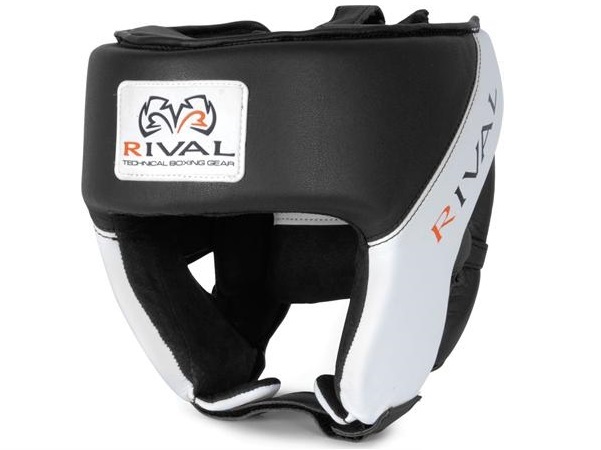 To secure the headgear in place, the Rival headgear combines a “lace crown” component for controlling the tightness of the top portion of the headgear, and Velcro straps that attaches to the back of the head gear padding. In place of a thick eardrum padding, Rival has designed the RHGC1 to have a padded ear bars that are wider than than the standard ear bars. This feature does not provide as much protection, but it does help reduce the likelihood of damaging your eardrums. The RGHC1’s padding is highly protective and is exceptional at suppressing the force felt from hard shorts by your opponent. 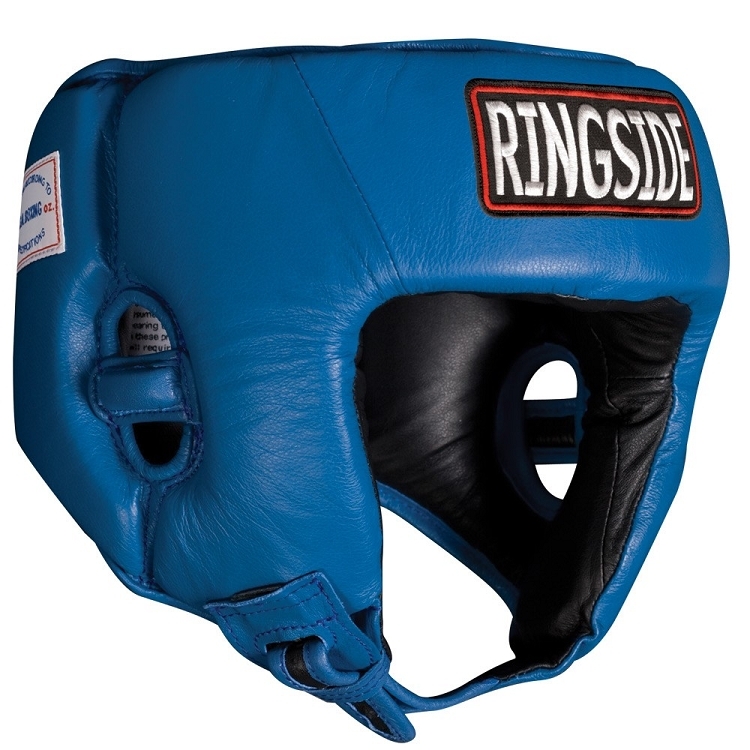 This USA Boxing approved headgear from Ringside is fully constructed with leather material. Aside from the durability factor, the leather material will not absorb your sweat like soft fabric interiors and is easier to clean. However, the drawback of this leather interior is the lack of material to wick your moisture away and it lacks breathability. This might get annoying for those athletes that tend to sweat profusely. 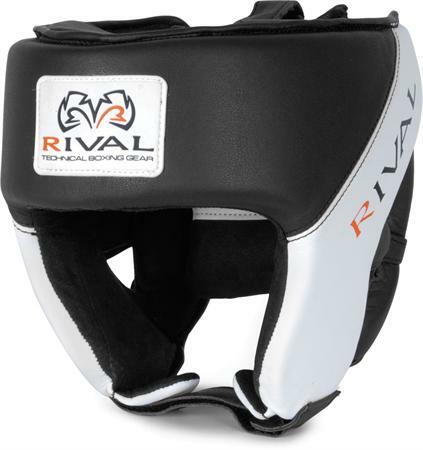 Similar to the Rival headgear mentioned previously, this Ringside headgear has large sturdy velcro straps to secure the back of the head portion while the top section could be adjusted via its lace component. The chin strap consists of a strip of leather that is held in place by a metal buckle. This metal buckle is fantastic for long term use and not have to worry about the Velcro losing its stickiness. The Ringside buckle design is not that great, but there is a protective cover for reducing the chance of abrasion with the buckle during training. The Ringside headgear presented is a fantastic and budget friendly option for competitors who prefer cheekless headgears. This is another USA Boxing approved headgear from Ringside. 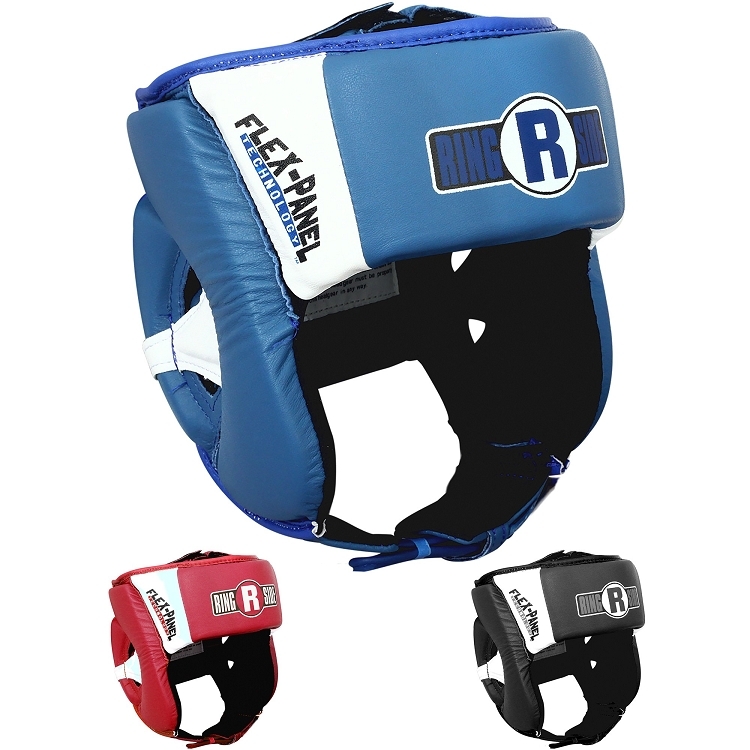 The Ringside Elite headgear is an advanced version of the previous model and uses a unique “Flex-Panel” technology. Ringside redesigned the Velcro system and improved the ability to adjust it to the individual’s comfort level. The Elite headgear has a tough leather exterior and a moisture wicking material for the interior. Its ear bar is padded and covers a sizable portion of the individual’s ear. The disadvantage of this larger ear pad is that it covers more of the ear opening compared to the other Ringside headgear, therefore reducing the user’s capacity to hear instructions. The chin strap padding makes this particular component above and beyond what the other headgears on this list offer. Furthermore, its has a loop for the chin strap to slide in and tuck underneath. Even though its side panel padding are highly protective, the Flex Panel technology and the padding’s thickness does cause it to stick out more than desirable. This element increases the chance of a typical glancing shot to catch on and do more damage. Other than that, the Ringside Elite headgear’s modern design stands out and it is enjoyable to wear for long sparring sessions. The Contender Fight Sports headgear is an entry level headgear that utilizes laces for both the top and back portion of the headgear. These laces are fantastic for adjusting and obtaining a snug fit with the headgear.The chin strap consist of a single piece of leather that locks in place by a metal buckle. Both the laces and chin strap are overall not as convenient as the velcro closure system offered in the other headgears listed here. The chin strap does have a protective flap piece of leather that hides the metal buckle, which is a nice feature for preventing the buckle from scraping against your teammate in close quarters or clinching scenarios. However, there are no layer of padding or material between you and the chin strap, which means it can dig into your skin uncomfortably. This Contender headgear has a tough leather exterior with a synthetic lining interior. The interior material is able to wick the moisture away and prevents the headgear from feeling overly sweaty. 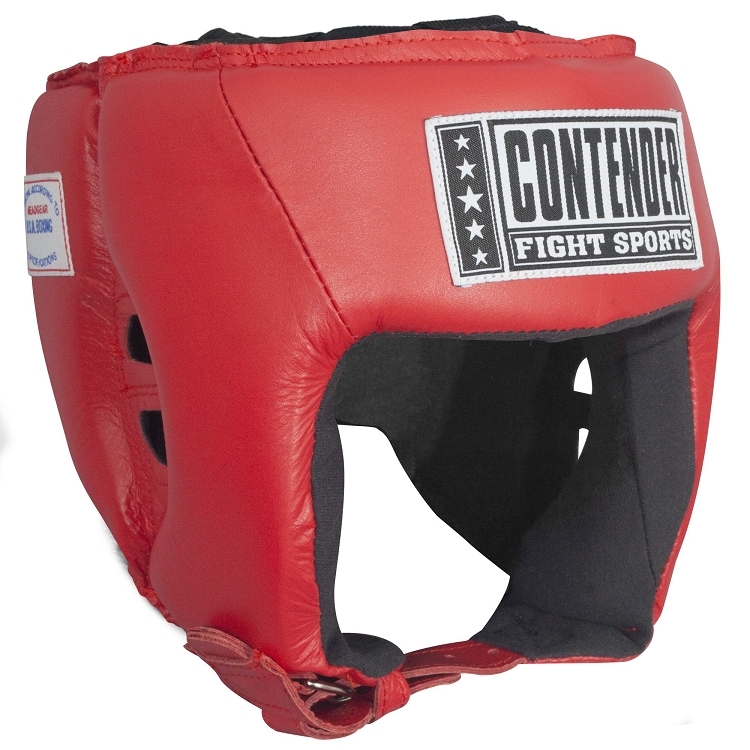 The Contender Fight Sports headgear is a good choice for new boxers that aspire to compete since it is also approved by USA boxing for amateur competitions. 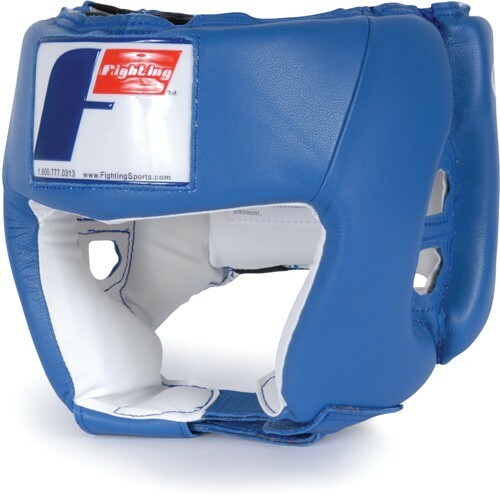 Fighting Sports offers a classic style open face headgear with high quality foam padding. It has plenty of padding in the rear portion of the headgear for accidental hits to the head. The headgear has a wide leather pocket for tucking the chin strap away, after you finish tightening the headgear securely on your head. Unlike the standard loop for the strap, this component is better at keeping the chin strap from flapping around. In addition to be chin strap, the top and rear portion of the headgear is completely adjustable as well. Fighting Sports headgear’s full grain leather construction provides top-notch durability that is superior to headgears that utilizes synthetic leather. Due to the toughness of the full grain leather, this headgear needs to be broken in a bit before its comfortness can be fully enjoyed. The downside to integrating this durable full grain leather construction is the pricing that comes with it. If you enjoy a headgear that is minimalistic with a clean look and performs according to the specifications required by USA Boxing, then this should definitely be consider as a strong option. The Aerovent Elite headgear from Title was designed to be highly breathable with its “air release channels” that are present at specific parts of the exterior and throughout the interior. The combination of moisture wicking and non-slip material with the series of air channels make this headgear the most breathable choice and keeps your head comfortable during long sparring sessions. 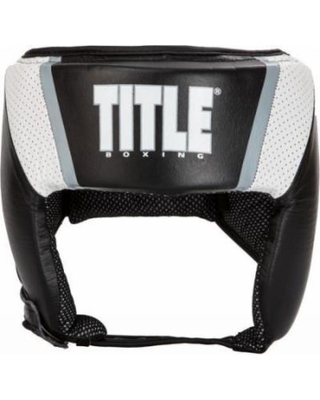 The Title Boxing company designed the Aerovent with laces for tightening the top portion of the headgear and large Velcro panels for adjusting the back portion. The Aerovent utilize a simple metal buckle with a standard protective flap. 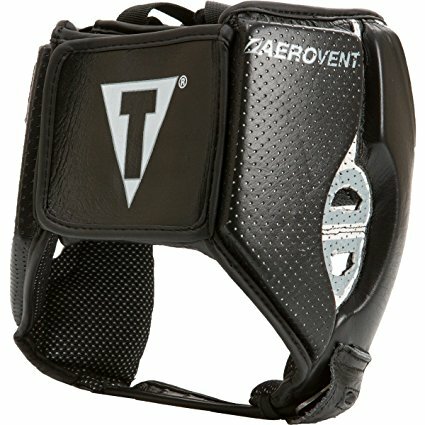 One of the best aspect of the Aerovent headgear is its padding and how it is able to disperse and reduce the impact felt from punches. The tradeoff for this nice cushion padding is the weight and size of the headgear compared to slimmer options like the following Adidas headgear. Not only is the Aerovent Elite headgear an excellent choice for any boxers planning to compete in USA Boxing and Golden Gloves events, it is one of the best selection available at its price point. This headgear is approved by the AIBA international boxing association. The Adidas headgear has replaced the lace crown design, presented in its previous version, to have a system consisting of dual Velcro straps for adjusting the top portion of the headgear. With this change, all the adjustability features of the headgear are simply hook and loop closures that permits quick changes without needing help from others. 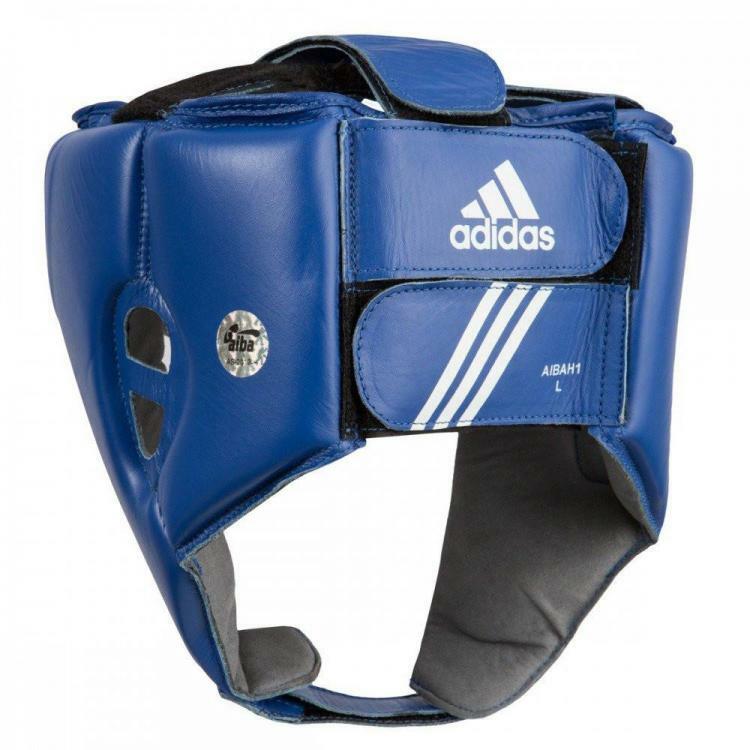 The Adidas headgear padding is not as thick as some of the other options and does not suppress the impact of punches as well. However, the thinness of the headgear does minimize the target size for your opponent and makes it extremely lightweight. Plus, the padding that runs across the individual’s forehead is nice and protective. Adidas complements this headgear’s cowhide leather exterior with an interior composed from Japanese Amara. Amara is supposed to be some type of artificial leather, but it feels soft and comfortable. Additionally, it provides exceptional grip to your head, even when you are extra sweaty. The one disadvantage of the Amara material is that it is quite absorbent and will trap your sweat. Therefore, you need to be careful with airing it out consistently after training.